Createspace Independent Publishing Platform, 9781479219995, 346pp. Experience Looming Dragon in this First Edition. Read about Cayce's journey in the original format. (10'font/344pages/10Chapters) The Great Spirit has selected Cayce Taylor to carry a heavy burden while in the midst of the Apocalypse. He and his tribe have already been warned of the returning Dragon but they ignored the heavenly signs. When the demon, Lilith, tries to kill him to obtain the Tiponi; the tablet containing all the ancient secrets, Cayce is suddenly forced to acknowledge his ancestors' prophecies. Lilith is a Legion, the oldest of demons. She's now enslaved by Adsu Gulden, a Babylonian god, who has somehow survived death for eight millennia. They both hate Cayce's tribe, the Annanuki, the bloodline of the Biblical Seth. Adsu is a giant Cain-blooded killer, who's bent on destroying them before the LOOMING DRAGON does. Unfortunately, the Annanuki are oblivious to this lurking evil; who prowl in the shadows, hidden. Will Adsu succeed? Probably-His schemes never fail. Cayce desperately fights to convince his people of the Dragon's doom-but there's always ho...pe, right? Remember, the invisible GOD always provides help for His chosen people. Since the dawn of time, he has appointed watchers. The unexpected arrival of the TIGIGI, the shape-shifters, changes things drastically. They give an amazing angelic revelation-it is Truth. The pack's leader, Pastor Billy Quallin, has hunted these Legions before. He has sniffed Lilith out, too; it's only a matter of time, now. Unexpectedly, the watchers find something intriguing: an ark. It's the A.E.S Gulden, a twenty-six story spaceship. LOOMING DRAGON is a thrilling fantasy novel, mixed with ancient archeology; complete with controversial theology. Readers will enjoy their journey with Cayce, a young Native American, as he unravels the true origins of mankind. 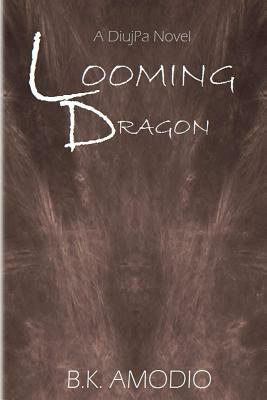 Written by a die-hard fantasy novel reader, LOOMING DRAGON is a 91,000 word novel with strong series potential, aimed at young readers but suitable for all ages.